Deveneys of Dundrum: Baltika 8 Special. Today's special, Baltika 8, Wheat, €1.49 500ml Bottle. Just because we're feeling a little strapped after Patrick's Day doesn't mean we have to revert back to Dutch Gold. 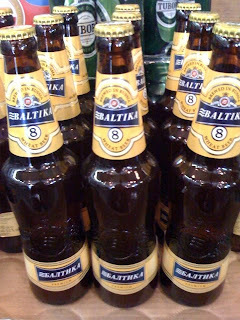 great price on the baltika 8, cracking wheat beer!